This is a game based off of the Marble Hornets mythos, it keeps a style similar to the Slender games but is soon to change and feature it's own unique abilities and options. The unique part of this game is that The Operator can spawn anywhere! You could see him right as you start or not at all, some people haven't seen him till the last few Symbols. Things I'm working on, right now. That's what I have planned for now, I'd also like to take the time to talk to anyone who is following this game or excited for it. This is not a game based on Slender, The Slenderman goes after children and has tentacles. 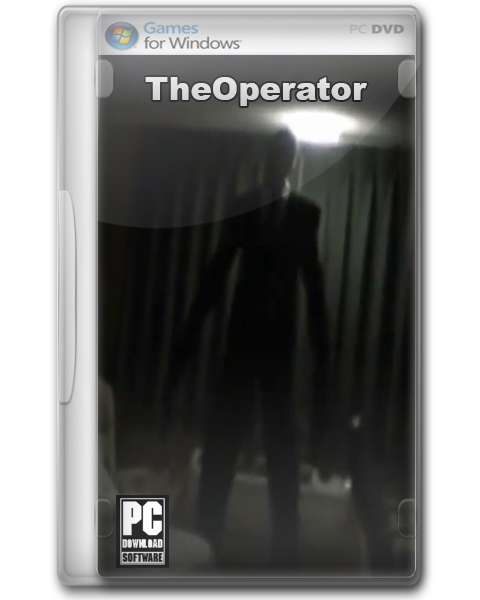 This is "The Operator" he is based on the Marble Hornets stories and was around before the Slenderman games. I keep getting a few private messages trying to correct me on this, not that it bothers me but some of you don't even know who The Operator is. So besides that I'd also like to say if anyone is watching this game then it would be nice if you could comment this news post and tell me what you'd like to see, special options, features, co-op maybe? If it's do-able I'll try my best. Also if you haven't check out the forum and you can find news/uploads there faster then you can here since it has to be reviewed first. It's been 1 month, finally have some news. Quick update, looking for people, reason for lateness. Recruiting anyone who would like to help. Looking to find some help with other parts of the game. To all who have downloaded or looked at this game, please take the time to read the content box below and support in making this game better. - The map in already to bigger ! The release notes explain the reason for most of these. But as for the trees I am focusing on the code first, then I'll fix the trees. As for the GameObjects there is already a few in there but I'm having trouble with finding what else could go into a nature reserve/park. The animation I'll do last since I'm not exactly the best so it will require more time. Sorry about the 2 page win, I'll look into that today along with the Slendy code. Oh no I did not sorry, if you would like to help design that could be useful. I'm not the most imaginative when it comes to horror lol so finding objects that "fit" in the current map is quite hard at the moment. Once I have more objects and I'm able to place more pages around it will be easier for me to make a proper code for the EnemyAI. There is only 3 placed, I forgot to change the start text. Slender is there, but people are having trouble seeing him. I'll check now, also I'm adding more things to the map and the music later.